SAN FERNANDO, La Union -- The Philippine National Police Regional Office (PRO) in Ilocos Region has listed 38 towns and cities in the region under election watchlist areas (EWAs). Superintendent Mary Crystal Peralta, police information officer of PRO-Ilocos, said Pangasinan, La Union and Ilocos Norte each have eight EWAs and 14 from Ilocos Sur. “Most of the town and cities are under category 1 or areas of concern while two from La Union, specifically Sudipen and Balaoan, are placed in category 3 or areas of grave concern because of the recent incidents involving electoral candidates,” she said in an interview on Wednesday, January 16. Although the Regional Mobile Force Battalion is sufficient in number to secure the elections in the entire region, Peralta said augmentation forces from the other regions will be welcomed by PRO-Ilocos. 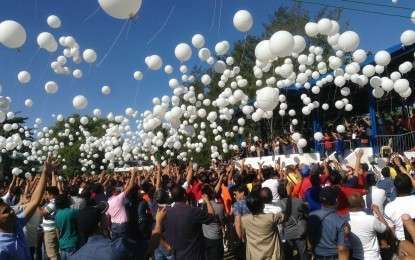 Election candidates, police officers, Comelec election officers and other government officers in the region joined the unity walk and peace covenant signing held simultaneously nationwide last January 13 to show their support for safe and fair elections. 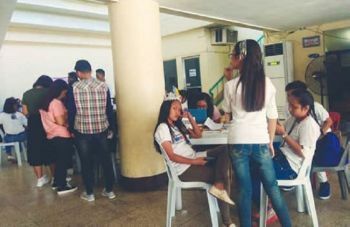 Inspector Ria Tacderan, police information officer of the Pangasinan Police Provincial Office (PPO), said 95 percent of the total number of candidates in the province attended the event.